#1-What is Hand to Hand Leaflet Distribution? Hand to hand leaflet distribution is a tried and tested way of ensuring your leaflets reach their intended audience. It’s handing your promotional material directly to customers in a predefined location or event. As such it is the most targeted method of delivery and lets you select the best locations. That are going to yield the most results and choose the most opportune timing for maximum impact. Hand to hand leaflet distribution also provides you with an opportunity to interact with your target audience. #2-Types of Hand to Hand Distribution. By choosing to deliver your leaflets by hand you can reach your desired customers so you don’t waste leaflets on people who are outside your market. This saves money and increases the possibility of conversions. You have the chance to select your preferred locations for distributing such as railway stations, high streets, clubs, gigs, festivals, and bars. #3-How to Make Hand to Hand Leaflet Distribution Work. 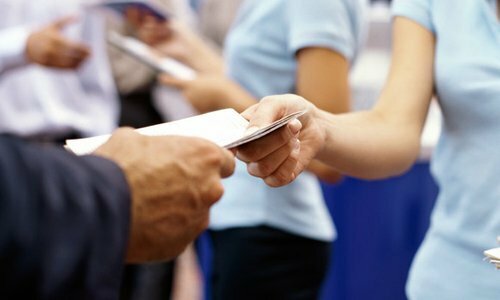 There are several considerations when embarking on a hand to hand leaflet distribution campaign. The right mix can be very successful while the wrong mix is often a recipe for disaster. whenever performing any kind of person to person marketing first impressions are key. With branded clothing you or the agency handing out your leaflets act as brand ambassadors, becoming instantly recognizable and standing out from the crowd. And here’s something else to consider: which of the following leaflet distributor looks the most professional when approaching people? Someone left to their own devices dressed in their own clothes or someone wearing smart branded attire. you can place your distributors in strategic locations such as busy shopping centers and high streets on the weekends, outside train and tube stations during morning and evening rush hours, at sporting occasions, shows, and other public events. You can also think about other locations such as long queues for buses. Perhaps your well-designed and informative leaflet will help to alleviate the boredom that some people will be feeling while they wait. Unlike most door to door delivery campaigns which can be conducted anytime, choosing to deliver by hand means you will need to consider the best time to distribute to your audience. If you have an event, you don’t want to promote it too early such that everyone forgets about it nor do you want to promote it too late such that nobody has the time to attend. Timing is also important if you have products that are seasonal or food items. For example, if you run a town center café the most opportune time to distribute leaflets is going to be in the morning as people are on their way to work or as they hit the streets during their lunch hour. The weather matters. If there is bad weather on your horizon you may have to rethink your plans. Nobody wants to have a leaflet thrust at them when they’re running for cover during a downpour or if they have shopping bags in one hand and an umbrella in the other. And to state, the obvious, leaflets are made of paper and don’t tend to last very long when there’s rain, snow or strong winds. So always check the local weather forecast. To get the best marketing return on investment involves planning and thinking strategically. Anything you can do to that will give you an edge will bring you closer to achieving your goals through hand to hand leaflet distribution.